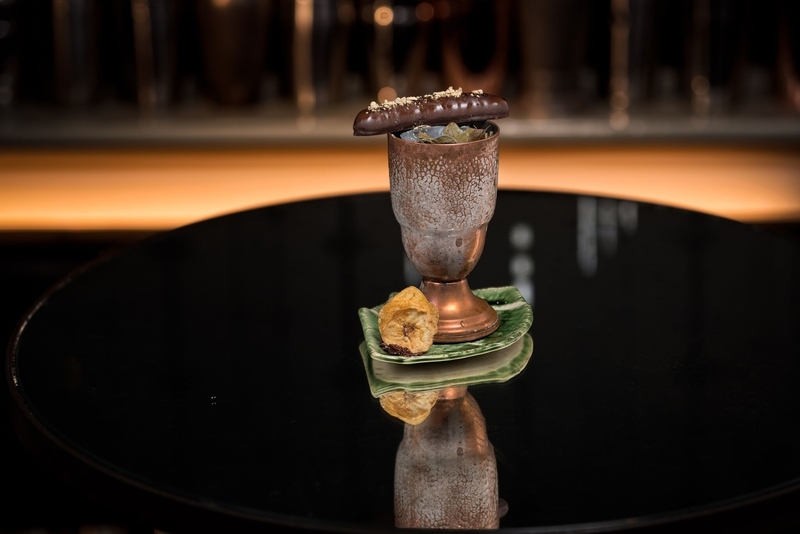 Inspired by Charles H Baker’s 1939 inspirational book, Bacardi Brown Forman Brands (BBFB) year-long UK tour of industry workshops and seminars celebrates the latest in drinks innovation. 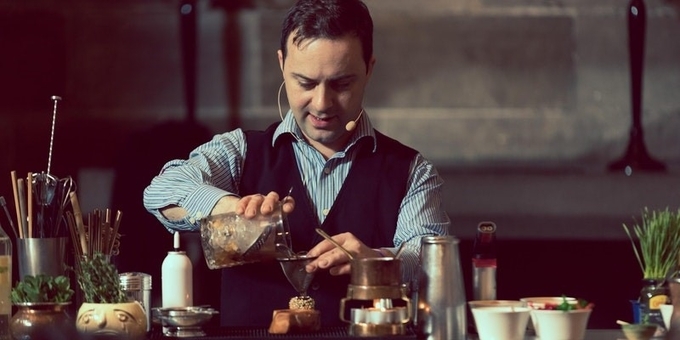 Marian Beke joined the team of presenters for his first ever visit to Liverpool (watch our video above). He is famously secretive over his recipes but for Jigger, Beaker, Glass he revealed four recipes along with some insightful tips. 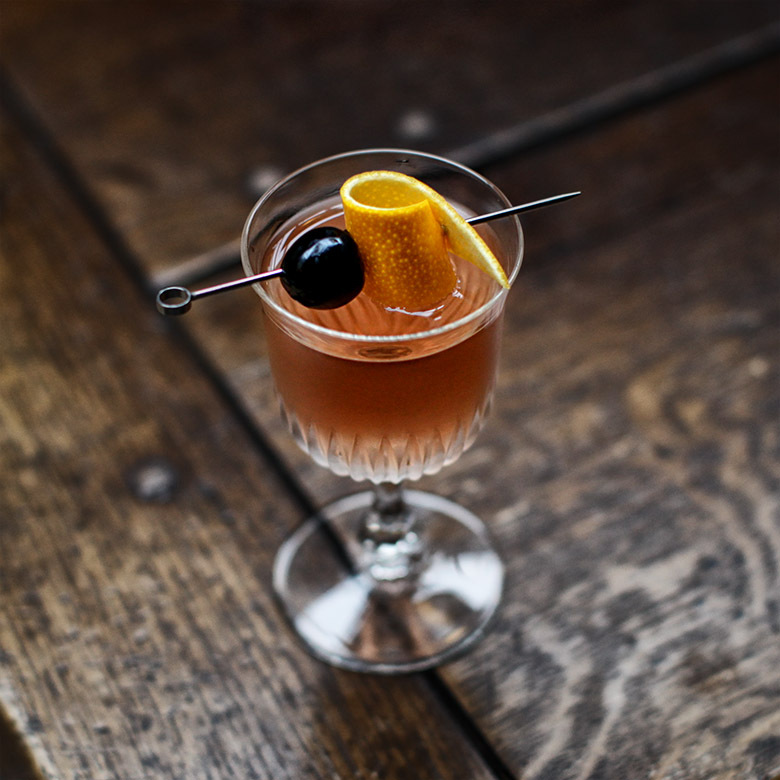 Even the Martini, the simplest of cocktails, can be an interesting drink. 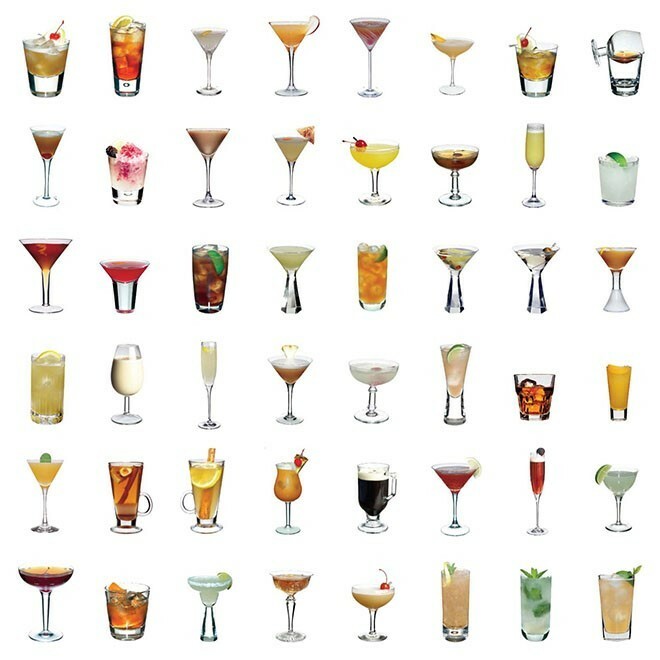 The garnish is the glass, the way we serve it is unique. We use nickel plated stainless steel vessels instead of glasses which we keep in a freezer at -15 to -20°C so we get this nice cold touch. If we used brass, copper or silver the metal would give the drink a metallic flavour, but the nickel plating imparts no taste. When making Martinis, we always use a chunk of ice rather than cubes so we can stir a little longer, yet not over dilute the drink. In some Martinis we use a different aromatic wine to vermouth such as sake or sherry. In the Gibson Martini we add pickling spices to the vermouth. 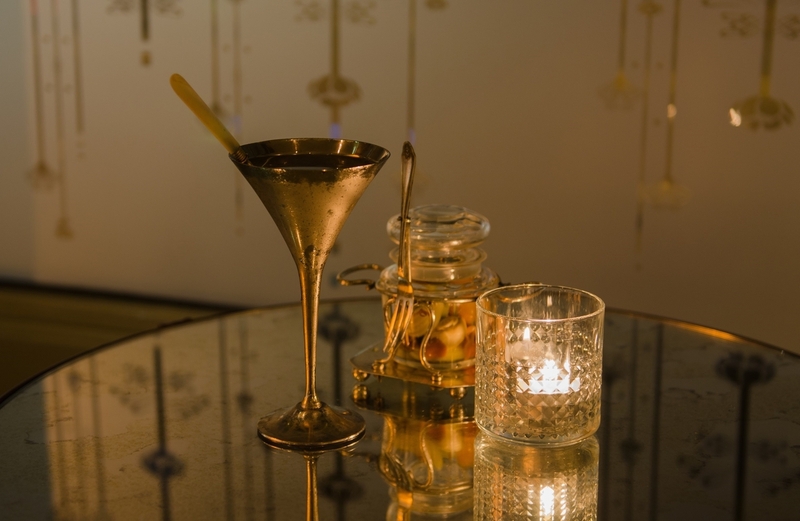 The Gibson Martini is garnished with a pickled onion and we want our Gibsons more pickled so we achieve this by adding one or two bar spoons of the pickling spices you'd normally use to make pickles in a bottle of vermouth. We use a ratio of five parts gin to one part pickling spiced vermouth. We leave the pickling spices to continue infusing in the vermouth and because we continually rotate stocks the spice typically spends three days infusing prior to use. We use a Chinese tea strainer which we keep specifically for Martinis to ensure pickling spice of any other residue does not end up in the finished drink. We zest a lemon twist over the drink while still on the bar with another zest taken to the table in a bowl with the drink so the server can express more oils in front of the guest to add theatre. The pickled onions we use to garnish our Gibsons are quite large and dark in colour and this is because we make them ourselves by pickling them in a balsamic vinegar. After one week we rinse them in cold water and then re-pickle in a white wine vinegar, pickling brine, the juice from the pickles, and vermouth. We call them double pickled onions. When you eat them, the balsamic vinegar gives sweetness and then the white wine vinegar and pickle juice imparts complex dryness and acidity. We serve with beautiful vintage pickle forks which you can find quite cheaply on EBay. We put one onion on a fork inside the Martini to add flavour and a second, sliced in half, served on the side. We recommend starting with the onion on the side and finishing with the chilled drink soaked onion. We also always serve parmesan cheese with a Martini and the fats and oils in the cheese help smooth the drinks strong taste of alcohol. Method: Shake and serve straight-up with saffron coconut ice (turmeric, saffron, gold flakes mixed into coconut oil). Keep on hot fondue and before serving dip ice chunk. 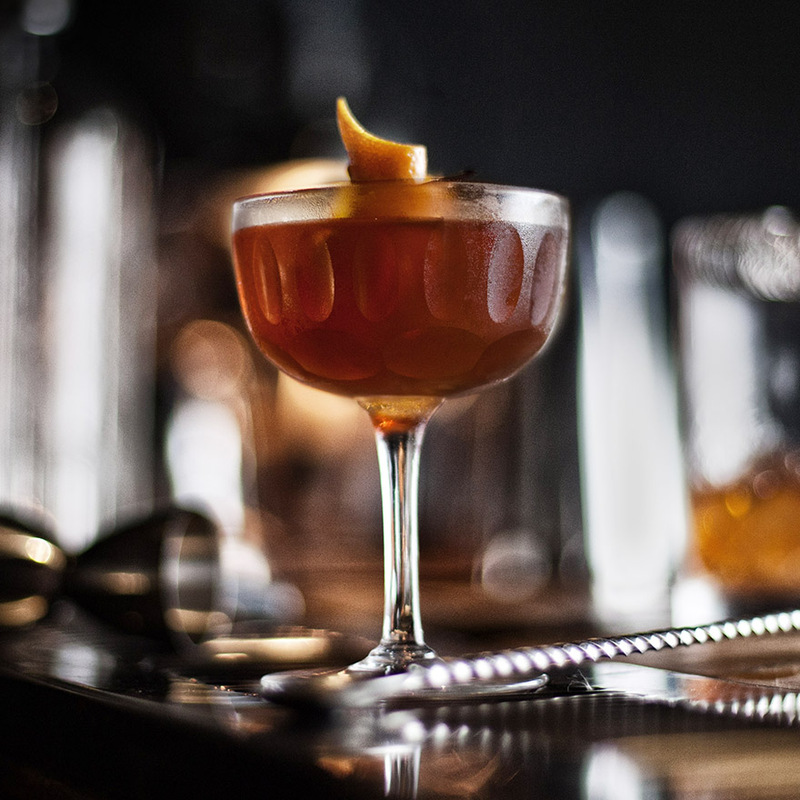 Sometimes what we try to do, is take classic drinks which people know and like, and modify them to make them more interesting. In this case a banana daiquiri, but rather than using banana or [cheesy] banana puree, we're using a banana ketchup or banana chutney. Rather than just say this is a banana daiquiri with fresh banana, something that was done in 1996, we use banana ketchup and banana chutney. Just by modifying a popular and classic ingredient you create a new product. People tell me that ketchup is tomato ketchup. No, tomato is just one flavour of ketchup. Ketchup is a category and tomato ketchup was popularised by Americans. But ketchup can be anything you want - banana, mango, strawberry. Ketchup as a category has sugar, salt, vinegar, pickling spices, shallots with your flavour of choice. Chutney is something that the English discovered in India, they realised that a bit of spice along with savoury elements tasted great. Chutney is almost like a marmalade with salt, sugar and spices (we use curry leaves and other spices). Some are very hot. Chutneys are flavour concentrates, you put literally one spoon in and everything explodes with flavour. 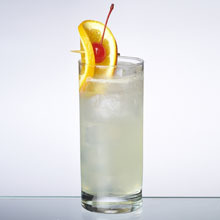 To liven up the daiquiri and refresh it, I use fresh coconut water. I also use what I call palm oolong sugar. We make this by gently simmering almond milk with Oolong tea and then palm sugar. We prepare all our ingredients ourselves and that often means simmering ingredients in liquid and this is never water. Water has no flavour or texture so instead we use look for an alternative. For example this sugar syrup is 70% liquid so using almond milk in place of water adds a nutty flavour, texture and aroma. Cacao works nicely with banana. It adds a different layer of flavour. So to this drink I've added Japanese black adzuki beans which we roast in a dry pan so they have a chocolaty coffee flavour and we infuse these in crème de cacao. We use fondues to warm and keep white chocolate, dark chocolate, butter, whole gelatine, cacao butter, peanut butter and other things in a liquid state on the bar. Then we prepare frozen glasses and even ice by dipping them into the fondue. We've got maybe six or eight now and one candle is enough to heat each all night. For this drink we dip a chunk of dry very cold ice into coconut oil infused with saffron. Due to the cold, the coconut oil forms a crust - we call it gold coconut ice. We finish with a garnish of dried long banana chips and a chocolate praline. 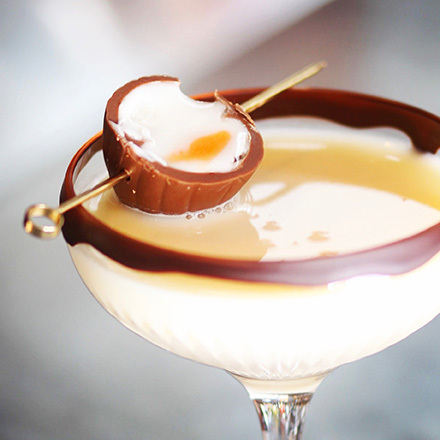 As I said, chocolate goes well and garnishes should enhance the flavour of the cocktail. This drink uses kombucha as a sweetener (re-fermented red tea, vinegar and sugar) and we use it in instead of grenadine. 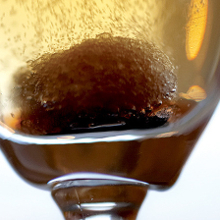 This drink has a very light flavour, so we roll it. 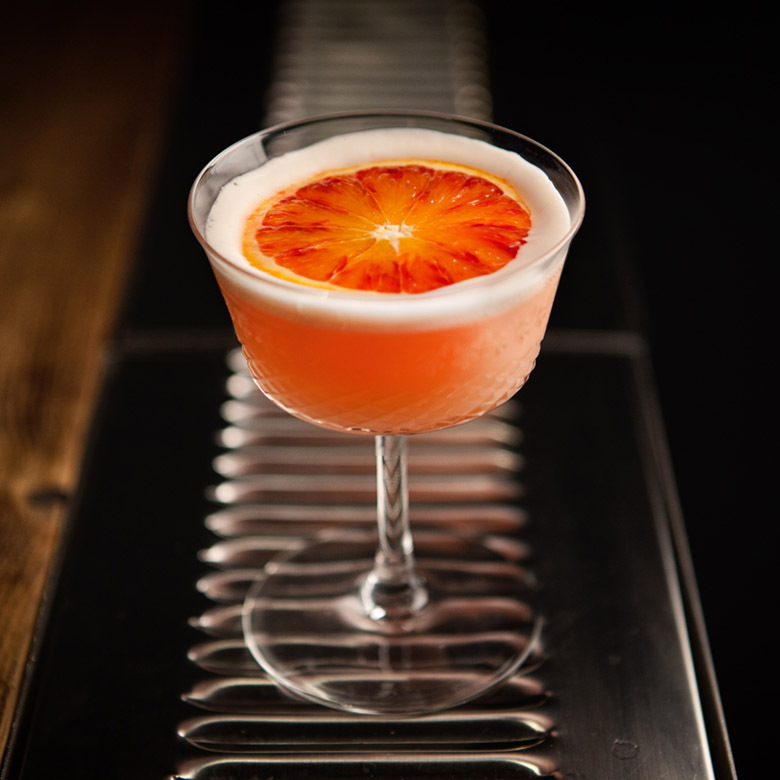 We use a garnish or rim to give our drinks more complexity. In this case we use a brush to paint the rim with damson ketchup. You can do full or half of the rim. Damson fruit is sweet but has some acidity, so fits with our concept of pickling and preserved things. 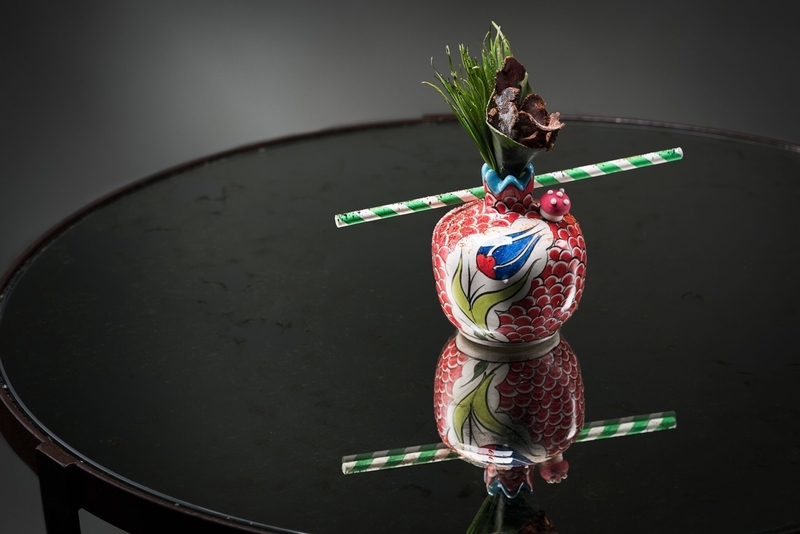 The plating and decoration is not just for the visual look but also can be used to showcase what's inside the drink. 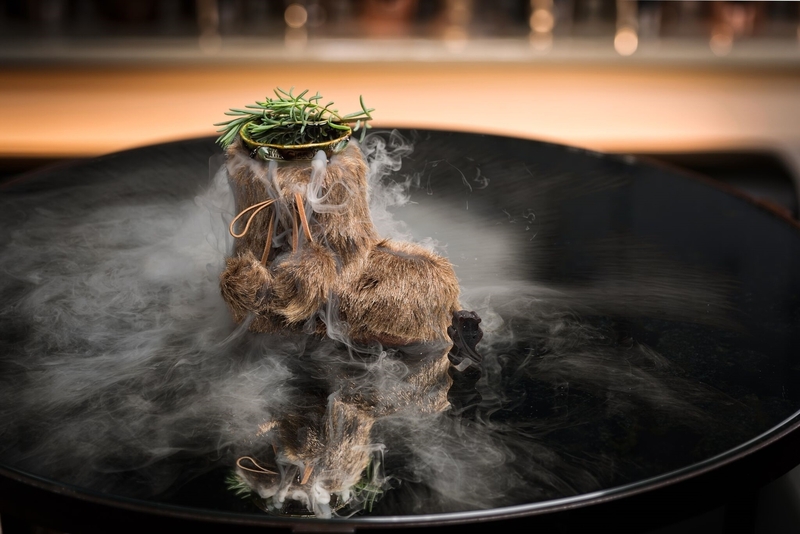 Method: Roll ingredients with ice and strain into glass with oak wood base with smoked forest mushrooms bellow the glass. Red Beard is our take on a mint julep and was inspired by a Steak House in New York where I was served a big steak with only mint jelly on the side. The steak was so big and so delicious that you're really just enjoying the meat and from time to time you just dip it in the mint jelly for digestion. I thought wow, that's a great concept. That's the inspiration for this mint julep...I tried to convert it back and think about how to put a steak or meat flavour into the booze. We use mint sauce to represent the mint jelly. The beef flavour comes from sun dried beef jerky which is infused in the bourbon. Lemon ketchup adds a citrus element. Mint juleps are all about the garnish so we use mint but also fresh wheat grass which not only adds additional aroma but we encourage our guests to eat it so they also enjoy a fresh grassy flavour. We also add grilled orange and beef jerky as a garnish to give the BBQ smoke like aroma and flavour. 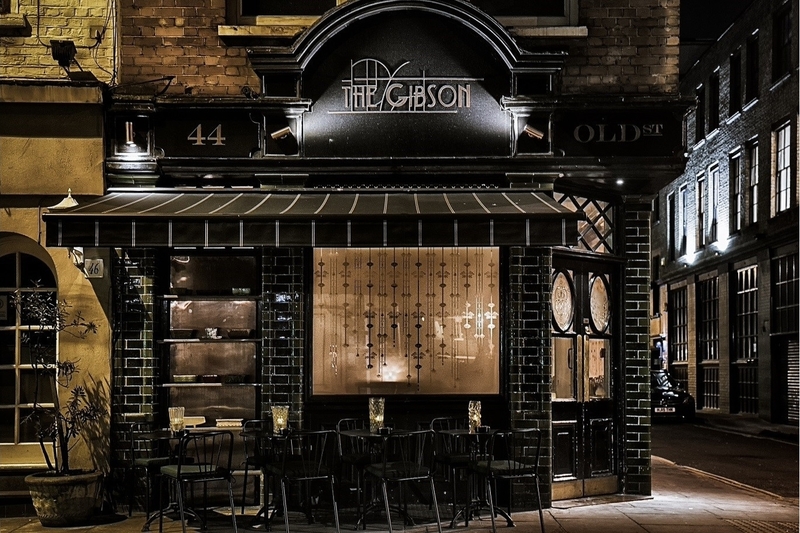 To try the cocktails above and to see Marian Beke at work head to his highly acclaimed bar The Gibson in London.